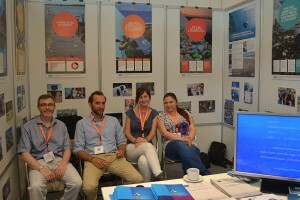 MARLISCO’s curtain fell with a standing ovation at the European Maritime Day 2015! 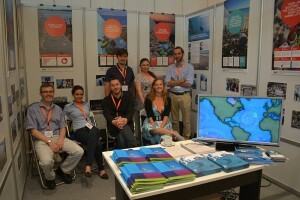 MARLISCO really went out with a bang at the European Maritime Day held this year in Athens, from 28 to 31 May 2015. 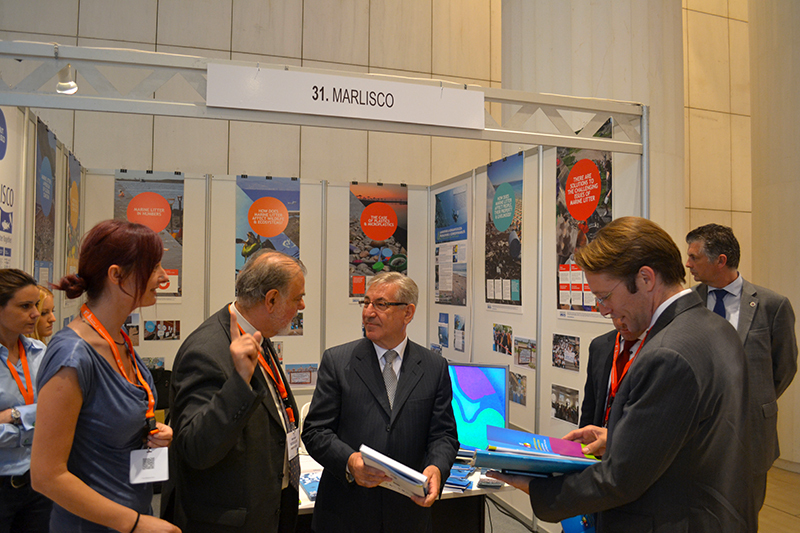 The European Maritime Day 2015 conference attracted a record number of participants, some 1300, from the European maritime community, who came together to discuss this year’s theme ‘Ports and Coasts as Engines for Blue Growth’. 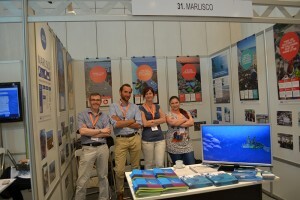 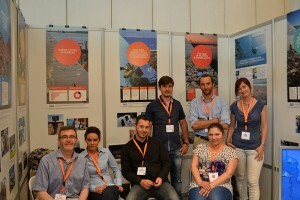 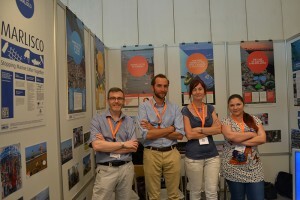 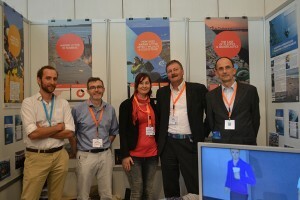 MARLISCO’s exhibition booth, manned by committed project members including its Regional Node Leaders Thomas Maes (CEFAS/North-East Atlantic), Thomais Vlachogianni (MIO-ECSDE/Mediterranean Sea), Ryan d’Arcy Metcalfe (KIMO/Baltic Sea) and Anca Gheorghe (MARENOSTRUM/ Black Sea) was a huge success, being perhaps the most popular one with a constant flow of visitors and many lively discussions and photo sessions. 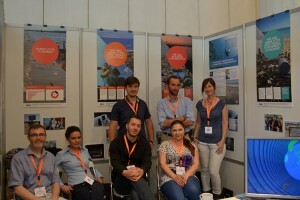 The project’s high quality outputs exhibited (the best practice guide, the educational pack, the short animated film, etc.) 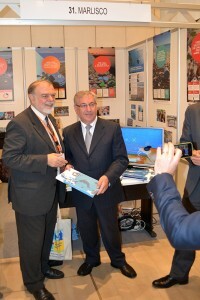 attracted even the attention of the Commissioner for Environment, Maritime Affairs and Fisheries, Mr. Karmenu Vella himself. 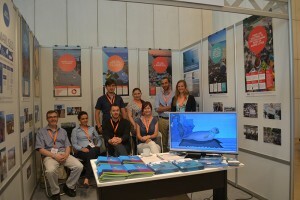 Not only was the MARLISCO project showcased in the workshop co-organized by MIO-ECSDE on “Innovative business models for marine litter in Europe” but was mentioned in various other sessions as a good example, demonstrating clearly the great impact and momentum the project has achieved.